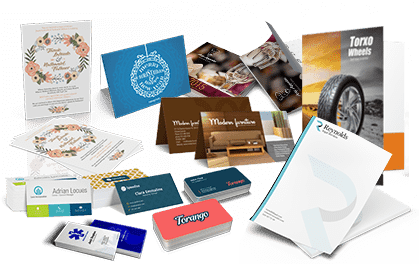 Showcase your brand as well as your product with custom Header Cards. This is a standard diecut for header cards and is referred to as a "sombrero" cut as the shape resembles a hat. This can be used with a flat hanger or a peg hanger. 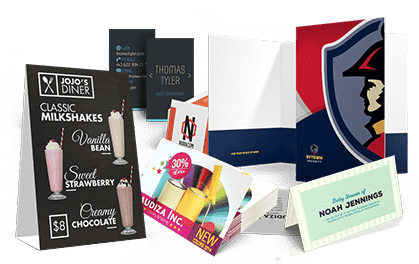 Header cards are usually used for items that are packaged in a plastic sleeve, with the open end of the sleeve secured with the header card. 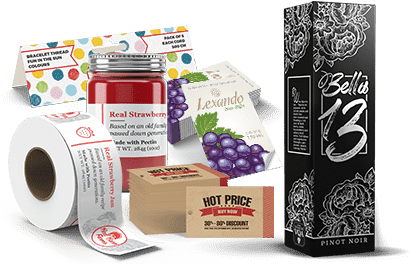 This allows the customer to see the actual item they wish to purchase, but still allows for branding, instructions, ingredients, and other important information to be included. 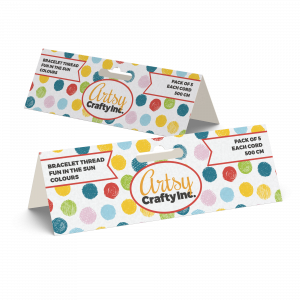 Header cards can also be used with textiles and clothing items, with the card secured to the item with the use of a retail tag gun. For ease of display, our header cards come with either a hole or the industry standard "Sombrero" style punch.